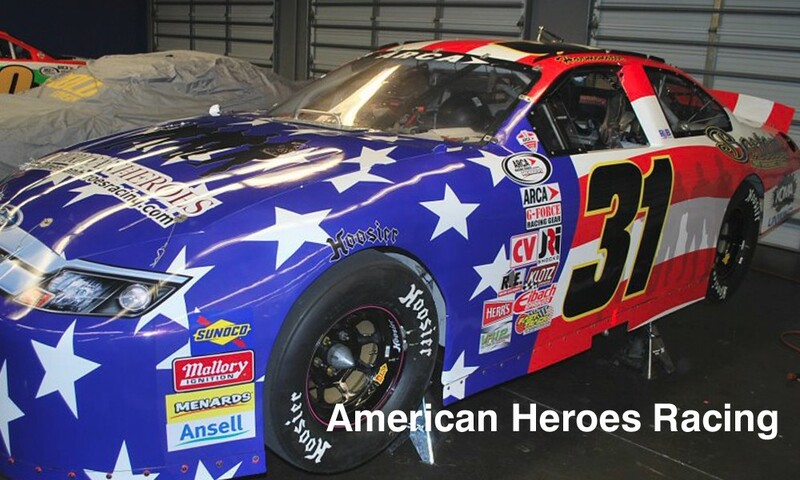 American Heroes Super Speedway Car, left side is wrapped. 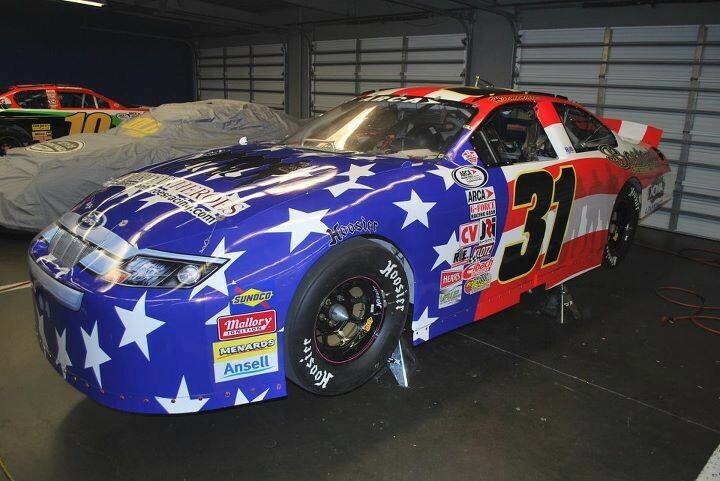 Getting her ready for Daytona. 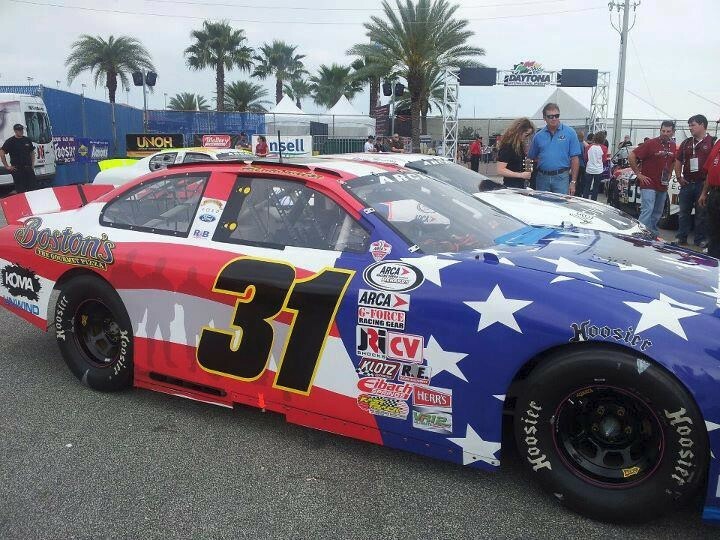 First preliminary draft of the American Heroes Racing ARCA car for Daytona! Here she is folks, pulled out of the garage into the sunlight ready for wrapping!!!! 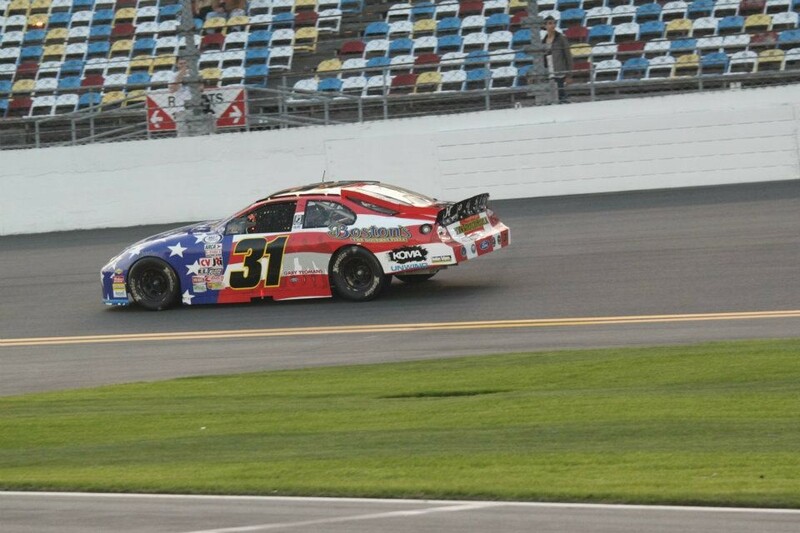 Daytona is just 19 days away!